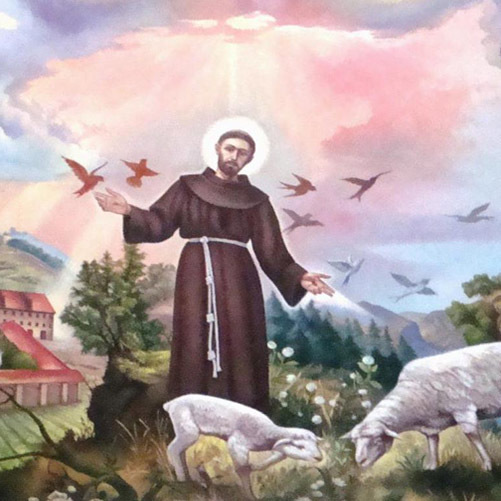 Saint Francis of Assisi exemplified Pacitarianism. a person who is dedicated to the realization of peace for all beings. a way of living in conscious thought and action, that promotes the highest good for all beings. Pacitarians believe that if we truly want peace on earth we have to PRACTICE PEACE. We cannot practice peace while we are sponsoring violence. Therefore... Pacitarians are peaceful warriors that actively pursue positive change regarding any social system, or psychology, that oppresses human and or non-human beings. For this reason, Pacitarians also choose, whenever possible, not to use, or consume, animal products, support animal testing, hunting, or any other form of exploitation inflicted on non-human beings and human beings as well. Pacitarians encourage others on their journey to do the same, and honor the individual path of each person with respect and non-judgement. Isn't pacitarian just another word for vegan? No. Pacitarians and vegans follow the same dietary principles. However, vegans have many different motivations for their diet. Some are concerned primarily with their own personal health and or weight loss. Others are concerned with the environment , and the welfare of animals. Still others care about a plant-based diet as a means to reduce world starvation for human beings. Pacitarianism is far more than just a diet. It is a way of living that is inspired by a desire to decrease suffering in this world for human beings and non-human beings alike. Although many vegans feel this way as well, it is not implicit in the word vegan, and vegans as a group are very different, and motivated by different factors. People from all different religious faiths and non-religious backgrounds, races, and countries can be a Pacitarian. But most Pacitarians believe in the sacredness and oneness of all life, as it comes from God, and is a part of God; and that God is a benevolent force of goodness; i.e. - God is love.